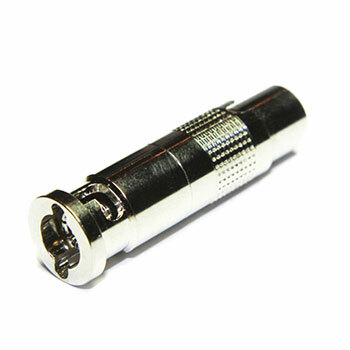 Micro BNC plugs incorporating a precision 75ohm termination, designed for full 1080p applications and general use up to 6GHz. Return loss is -23dB at 6GHz and -26dB at 12GHz and exceeds the requirements of SMPTE ST 2082-1. Gold plated centre contact.